Romania ( /roʊˈmeɪniə/ ( listen ) ro-MAY-nee-ə; Romanian : România [ r o m ɨ ˈ n i . a ] ( listen )) is a country located at the crossroads of Central, Eastern, and Southeastern Europe. It borders the Black Sea to the southeast, Bulgaria to the south, Ukraine to the north, Hungary to the west, Serbia to the southwest, and Moldova to the east. It has a predominantly temperate-continental climate. 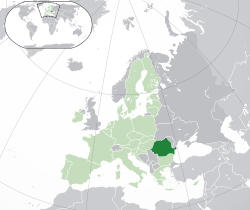 With a total area of 238,397 square kilometres (92,046 sq mi), Romania is the 12th largest country and also the 7th most populous member state of the European Union, having almost 20 million inhabitants. Its capital and largest city is Bucharest, and other major urban areas include Cluj-Napoca, Timișoara, Iași, Constanța, Craiova, and Brașov. 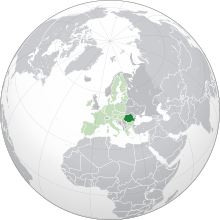 Romanian is an Eastern Romance language spoken by approximately 24–26 million people as a native language, primarily in Romania and Moldova, and by another 4 million people as a second language. It is an official and national language of Romania and Moldova. 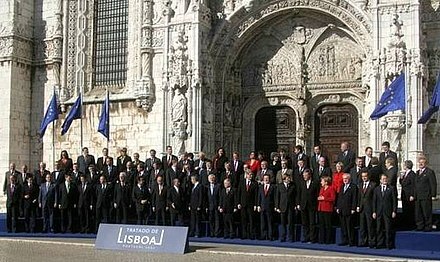 In addition, it is also one of the official languages of the European Union. 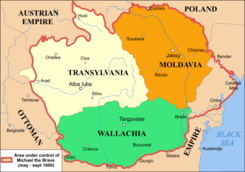 The United Principalities was the official name of the personal union of Moldavia and Wallachia which later became Romania, adopted on 24 January 1859 (O.S.) (5 February N.S.) when Alexandru Ioan Cuza was elected as the Domnitor of both principalities, which were autonomous but still vassals of the Ottoman Empire. The sovereign state of Romania is a developing country   and ranks 52nd in the Human Development Index. It has the world's 47th largest economy by nominal GDP and an annual economic growth rate of 7% (2017), the highest in the EU at the time. 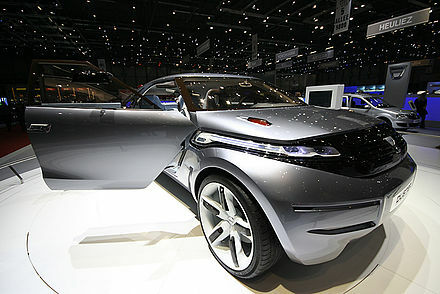 Following rapid economic growth in the early 2000s, Romania has an economy predominantly based on services, and is a producer and net exporter of machines and electric energy, featuring companies like Automobile Dacia and OMV Petrom. It has been a member of the United Nations since 1955, part of NATO since 2004, and part of the European Union since 2007. An overwhelming majority of the population identifies themselves as Eastern Orthodox Christians and are native speakers of Romanian, a Romance language. The oldest known surviving document written in Romanian, a 1521 letter known as the "Letter of Neacșu from Câmpulung",  is also notable for including the first documented occurrence of the country's name: Wallachia is mentioned as Țeara Rumânească (old spelling for "The Romanian Land"; țeara from the Latin terra, "land"; current spelling: Țara Românească). Neacșu's letter, written in 1521, is one of the oldest surviving documents available in Romanian that can be reliably dated. Written using Cyrillic, it was sent by Neacșu Lupu, a merchant from Câmpulung, Wallachia to Johannes Benkner, the mayor of Brassó, Kingdom of Hungary, warning him about the imminent attack of the Ottoman Empire on Transylvania. In English, the name of the country was formerly spelt Rumania or Roumania. Romania became the predominant spelling around 1975. Romania is also the official English-language spelling used by the Romanian government. A handful of other languages (including Italian, Hungarian, Portuguese, and Norwegian) have also switched to "o" like English, but most languages continue to prefer forms with u, e.g. French Roumanie, German and Swedish Rumänien, Spanish Rumania (the archaic form Rumanía is still in use in Spain), Polish Rumunia, Russian Румыния (Rumyniya), and Japanese ルーマニア (Rūmania). As Romania's foreign debt sharply increased between 1977 and 1981 (from US$3 billion to $10 billion),  the influence of international financial organizations (such as the IMF and the World Bank) grew, gradually conflicting with Ceaușescu's autocratic rule. The latter eventually initiated a policy of total reimbursement of the foreign debt by imposing austerity steps that impoverished the population and exhausted the economy. 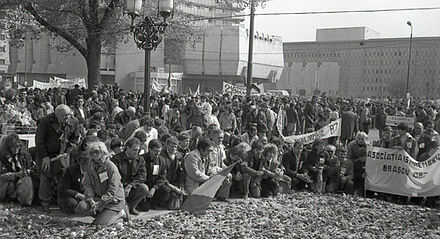 The process succeeded in repaying all foreign government debt of Romania in 1989. 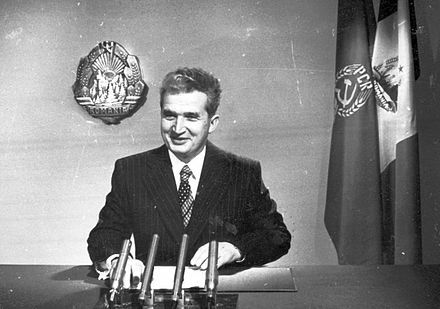 At the same time, Ceaușescu greatly extended the authority of the Securitate secret police and imposed a severe cult of personality, which led to a dramatic decrease in the dictator's popularity and culminated in his overthrow and eventual execution, together with his wife, in the violent Romanian Revolution of December 1989 in which thousands were killed or injured. The charges for which they were executed were, among others, genocide by starvation. With an area of 238,397 square kilometres (92,046 sq mi), Romania is the largest country in Southeastern Europe and the twelfth-largest in Europe. :17 It lies between latitudes 43° and 49° N and longitudes 20° and 30° E.
The Carpathian Mountains dominate the centre of Romania, with 14 mountain ranges reaching above 2,000 m or 6,600 ft, the highest of which is Moldoveanu Peak at 2,544 m or 8,346 ft.  :11 They are surrounded by the Moldavian and Transylvanian plateaus and Carpathian Basin and Wallachian plains. 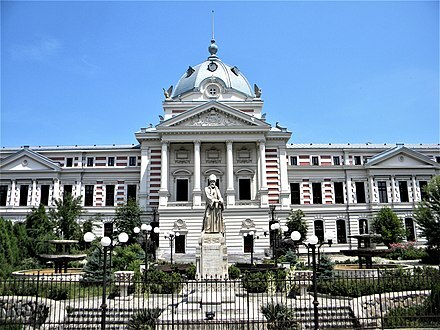 The justice system is independent of the other branches of government, and is made up of a hierarchical system of courts culminating in the High Court of Cassation and Justice, which is the supreme court of Romania. There are also courts of appeal, county courts and local courts. 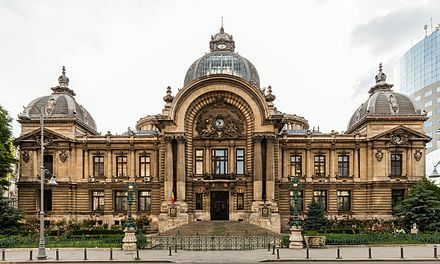 The Romanian judicial system is strongly influenced by the French model, considering that it is based on civil law and is inquisitorial in nature. The Constitutional Court (Curtea Constituțională) is responsible for judging the compliance of laws and other state regulations to the constitution, which is the fundamental law of the country and can only be amended through a public referendum. The 2007 entry into the EU has been a significant influence on its domestic policy, and including judicial reforms, increased judicial cooperation with other member states, and measures to combat corruption. Past recent governments states that one of their goals is to strengthen ties with and helping other countries (in particular Moldova, Ukraine, and Georgia) with the process of integration with the rest of the West. 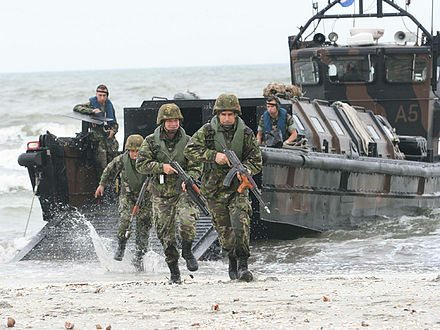 Romania has also made clear since the late 1990s that it supports NATO and EU membership for the democratic former Soviet republics in Eastern Europe and the Caucasus. Romania also declared its public support for Turkey, and Croatia joining the European Union. Because it has a large Hungarian minority, Romania has also developed strong relations with Hungary. 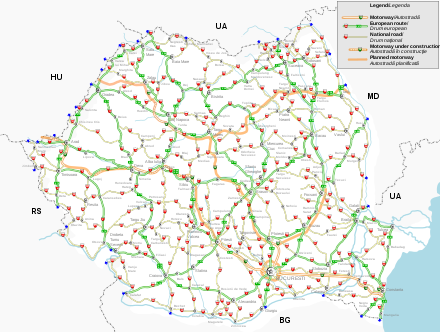 Romania opted on 1 January 2007, to adhere the Schengen Area, and its bid to join was approved by the European Parliament in June 2011, but was rejected by the EU Council in September 2011. Romania is divided into 41 counties (județe, pronounced judets) and the municipality of Bucharest. Each county is administered by a county council, responsible for local affairs, as well as a prefect responsible for the administration of national affairs at the county level. The prefect is appointed by the central government but cannot be a member of any political party. Each county is further subdivided into cities and communes, which have their own mayor and local council. 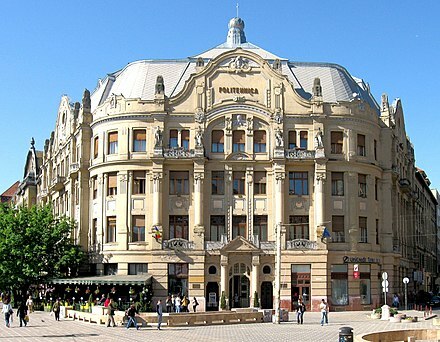 There are a total of 320 cities and 2,861 communes in Romania. :17 A total of 103 of the larger cities have municipality statuses, which gives them greater administrative power over local affairs. 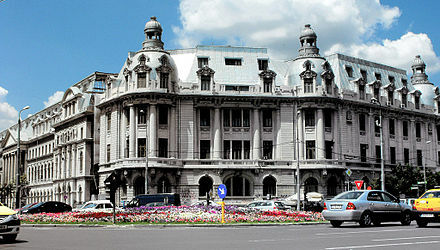 The municipality of Bucharest is a special case as it enjoys a status on par to that of a county. It is further divided into six sectors  :6 and has a prefect, a general mayor (primar), and a general city council. Most popular skiing resorts are along the Valea Prahovei and in Poiana Brașov. Castles, fortifications, or strongholds as well as well preserved medieval Transylvanian cities or towns such as Cluj-Napoca, Sibiu, Brașov, Bistrița, Mediaș, Cisnădie, or Sighișoara also attract a large number of tourists. Bran Castle, near Brașov, is one of the most famous attractions in Romania, drawing hundreds of thousands of tourists every year as it is often advertised as being Dracula's Castle. Hunedoara Castle is another famous structure. Historically, Romanian researchers and inventors have made notable contributions to several fields. In the history of flight, Traian Vuia made the first airplane to take off on its own power  and Aurel Vlaicu built and flew some of the earliest successful aircraft, while Henri Coandă discovered the Coandă effect of fluidics. Victor Babeș discovered more than 50 types of bacteria; biologist Nicolae Paulescu discovered insulin, while Emil Palade, received the Nobel Prize for his contributions to cell biology. Lazăr Edeleanu was the first chemist to synthesize amphetamine and he also invented the procedure of separating valuable petroleum components with selective solvents, while Costin Nenițescu developed numerous new classes of compounds in organic chemistry. Notable Romanian mathematicians include Spiru Haret, Grigore Moisil, and Ștefan Odobleja; physicists and inventors: Șerban Țițeica, Alexandru Proca, and Ștefan Procopiu. The Romanian Orthodox Church is an autocephalous Eastern Orthodox Church in full communion with other Orthodox churches, with a Patriarch as its leader. It is the second-largest Orthodox Church in the world[ citation needed ], and unlike other Orthodox churches, it functions within a Latin culture and utilizes a Romance liturgical language. Its canonical jurisdiction covers the territories of Romania and Moldova,  with dioceses for Romanians living in nearby Serbia and Hungary, as well as diaspora communities in Central and Western Europe, North America and Oceania. Although 54.0% of the population lived in urban areas in 2011,  this percentage has been declining since 1996. Counties with over ⅔ urban population are Hunedoara, Brașov and Constanța, while with less than a third are Dâmbovița (30.06%) and Giurgiu and Teleorman. 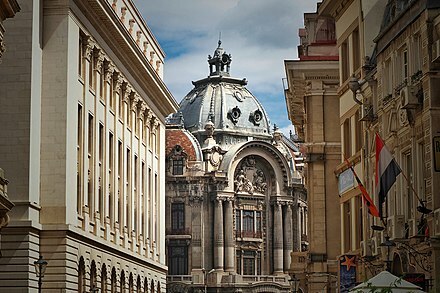 Bucharest is the capital and the largest city in Romania, with a population of over 1.8 million in 2011. Its larger urban zone has a population of almost 2.2 million,  which are planned to be included into a metropolitan area up to 20 times the area of the city proper. Another 19 cities have a population of over 100,000, with Cluj-Napoca and Timișoara of slightly more than 300,000 inhabitants, Iași, Constanța, Craiova, and Brașov with over 250,000 inhabitants, and Galați and Ploiești with over 200,000 inhabitants. Metropolitan areas have been constituted for most of these cities. 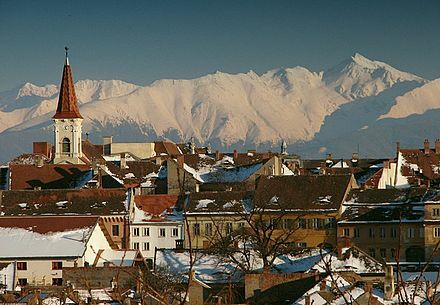 Sibiu (German : Hermannstadt, Hungarian : Nagyszeben) was the European Capital of Culture in 2007. Timișoara (German : Temeschburg, Hungarian : Temesvár) was designated the European Capital of Culture in 2021. In the 20th century, Romanian artists reached international acclaim, including Tristan Tzara, Marcel Janco,  Mircea Eliade, Nicolae Grigorescu, Marin Preda, Liviu Rebreanu,  Eugène Ionesco, Emil Cioran, and Constantin Brâncuși. The last has a sculptural ensemble in Târgu Jiu, while his sculpture Bird in Space , was auctioned in 2005 for $27.5 million. Romanian-born Holocaust survivor Elie Wiesel received the Nobel Peace Prize in 1986, while Banat Swabian writer Herta Müller received the Nobel Prize in Literature in 2009. Association football (soccer) is the most popular sport in Romania with over 234,000 registered players as of 2010 [update] . The governing body is the Romanian Football Federation, which belongs to UEFA. The Romania national football team played its first match in 1922 and is one of only four national teams to have taken part in the first three FIFA World Cups, the other three being Brazil, France, and Belgium. Overall, it has played in seven World Cups and had its most successful period during the 1990s, when it reached the quarterfinals of the 1994 FIFA World Cup, being eventually ranked third by FIFA in 1997. The core player of this "Golden Generation" was Gheorghe Hagi, who was nicknamed "the Maradona of the Carpathians." Other successful players include Iuliu Bodola, Nicolae Dobrin, Dudu Georgescu, Florea Dumitrache, Liță Dumitru, Ilie Balaci, Miodrag Belodedici, Loți Bölöni, Michael Klein, Anghel Iordănescu, Rodion Cămătaru, Mircea Rednic, Costică Ștefănescu, Cornel Dinu, Marius Lăcătuș or Gheorghe Popescu, and most recently Florin Răducioiu, Dorinel Munteanu, Viorel Moldovan, Dan Petrescu, Adrian Mutu, Cristian Chivu, Răzvan Raț or Cosmin Contra. Romania's home ground is Arena Națională, Bucharest. Other popular team sports are team handball,  basketball  and rugby union. Both the men's and women's handball national teams are multiple world champions. On 13 January 2010, Cristina Neagu became the first Romanian in handball to win the IHF World Player of the Year award. Basketball is widely enjoyed, especially by the youth. Gheorghe Mureșan was one of the two tallest players to ever play in the NBA. In 2016, Romania was chosen as a host for the 2017 EuroBasket. The rugby national team has competed in every Rugby World Cup. It participated at the 1984 Summer Olympics in Los Angeles and finished second in gold medals (20) and third in total medal count (53). Almost a quarter of all the medals and 25 of the gold ones were won in gymnastics, with Nadia Comăneci becoming the first gymnast ever to score a perfect ten in an Olympic event at the 1976 Summer Olympics. Romanian competitors have won gold medals in other Olympic sports: rowing, athletics, canoeing, wrestling, shooting, fencing, swimming, weightlifting, boxing, and judo. At the Winter Olympic Games, Romania has won only a bronze medal in bobsleigh at the 1968 Winter Olympics. ↑ 2002 census data, based on population by ethnicity Archived 24 March 2012 at the Wayback Machine , gave a total of 535,250 Roma in Romania. Many ethnicities are not recorded, as they do not have ID cards Archived 15 November 2013 at the Wayback Machine . International sources give higher figures than the official census (e.g., UNDP 's Regional Bureau for Europe, World Bank, "International Association for Official Statistics" (PDF). Archived from the original (PDF) on 26 February 2008. The Middle Ages in Romania began with the withdrawal of the Mongols, the last of the migrating populations to invade the territory of modern Romania, after their attack of 1241–1242. It came to an end with the reign of Michael the Brave (1593–1601) who managed, for a short time in 1600, to rule Wallachia, Moldavia and Transylvania, the three principalities whose territories were to be united some three centuries later to form Romania. Several theories address the issue of the origin of the Romanians. The Romanian language descends from the Vulgar Latin dialects spoken in the Roman provinces north of the "Jireček Line" in Late Antiquity. 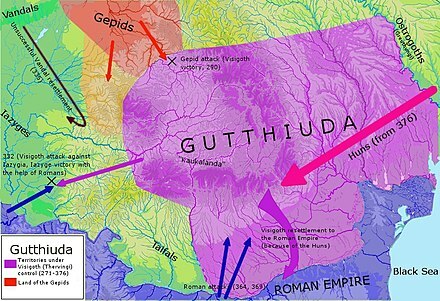 The theory of Daco-Roman continuity argues that the Romanians are mainly descended from the Daco-Romans, a people developing through the cohabitation of the native Dacians and the Roman colonists in the province of Dacia Traiana north of the river Danube. The competing immigrationist theory states that the Romanians' ethnogenesis commenced in the provinces south of the river with Romanized local populations spreading through mountain refuges, both south to Greece and north through the Carpathian Mountains. According to the "admigration theory", migrations from the Balkan Peninsula to the lands north of the Danube contributed to the survival of a Romance-speaking population in those territories. The Székelys, sometimes also referred to as Szeklers, are a subgroup of the Hungarian people living mostly in the Székely Land in Romania. A significant population descending from the Székelys of Bukovina lives in Tolna and Baranya counties in Hungary and in certain districts of Vojvodina, Serbia. The historical regions of Romania are located in Central, Southeastern, and Eastern Europe. Romania came into being through the unification of two principalities, Wallachia and Moldavia in 1862. The new unitary state extended over further regions at various times during the late 19th and 20th centuries, including Dobruja in 1878, and Transylvania in 1918. The Prince of Transylvania was the head of state of the Principality of Transylvania from the last decades of the 16th century until the middle of the 18th century. John Sigismund Zápolya was the first to adopt the title in 1570, but its use only became stable from 1576. The Early Modern Times in Romania started after the death of Michael the Brave, who ruled in a personal union, Wallachia, Transylvania and Moldavia – three principalities in the lands that now form Romania – for three months, in 1600. The three principalities were subjected to the Ottoman Empire, and paid a yearly tribute to the Ottoman Sultans, but they preserved their internal autonomy. In contrast, Dobruja and the Banat were fully incorporated into the Ottoman Empire. 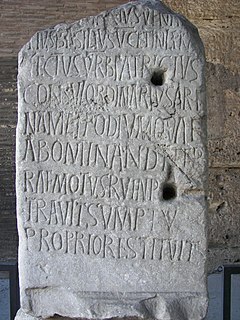 The history of Christianity in Romania began within the Roman province of Lower Moesia, where many Christians were martyred at the end of the 3rd century. Evidence of Christian communities has been found in the territory of modern Romania at over a hundred archaeological sites from the 3rd and 4th centuries. However, sources from the 7th and 10th centuries are so scarce that Christianity seems to have diminished during this period. The foundation of Wallachia, that is the establishment of the first independent Romanian principality, was achieved at the beginning of the 14th century, through the unification of smaller political units that had existed between the Carpathian Mountains, and the Rivers Danube, Siret and Milcov. A controversy exists over the national identity and name of the native language of the main ethnic group in the Republic of Moldova. The issue more frequently disputed is whether Moldovans constitute a subgroup of Romanians or a separate ethnic group. While there is wide agreement about the existence of a common language, the controversy persists about the use of the term "Moldovan language" in certain political contexts. Hungarian-Romanian relations are foreign relations between Hungary and Romania. Relations between the two nations date back from the Middle Ages, including Wallachia and Moldavia. Modern diplomatic relations between the two states are dating since the creation of Romania. 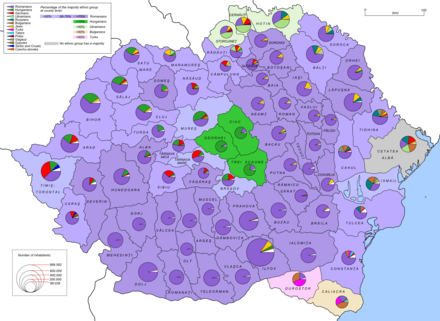 The Hungarian minority of Romania is the largest ethnic minority in Romania, consisting of 1,227,623 people and making up 6.1% of the total population, according to the 2011 census. 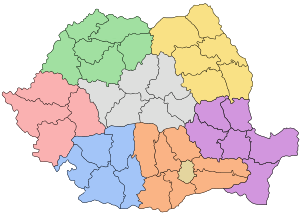 A total of 41 counties, along with the municipality of Bucharest, constitute the official administrative divisions of Romania. 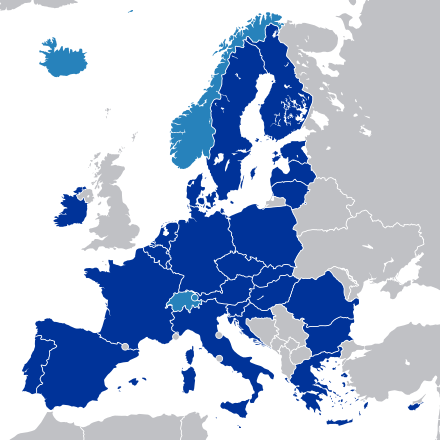 They represent the country's NUTS-3 statistical subdivisions within the European Union and each of them serves as the local level of government within its borders. Most counties are named after a major river, while some are named after notable cities within them, such as the county seat. Romania is officially designated as a secular state, although there is no effective separation of church and state. Indeed, according to Law no. 142/1999, state-recognized religious denominations employees receive salaries from the state budget. Therefore, all Romanian citizens who pay taxes contribute to clergy salaries, regardless of their religious affiliation. Ion Budai-Deleanu (1760-1820) was a Romanian scholar and poet, born in Transylvania. 1 2 3 4 "World Economic Outlook Database, April 2019". IMF.org. International Monetary Fund . Retrieved 11 April 2019. ↑ "2016 Human Development Report". United Nations Development Programme. 2018. Archived (PDF) from the original on 22 March 2017. Retrieved 20 September 2018. ↑ "Explanatory Dictionary of the Romanian Language, 1998; New Explanatory Dictionary of the Romanian Language, 2002" (in Romanian). Dexonline.ro. Archived from the original on 17 May 2016. Retrieved 25 September 2010. ↑ Goina, Călin. How the State Shaped the Nation: an Essay on the Making of the Romanian Nation Archived 10 October 2017 at the Wayback Machine in Regio – Minorities, Politics, Society. ↑ See, for example, "Rumania: Remarkable Common Ground" Archived 31 December 2016 at the Wayback Machine , The New York Times (December 21, 1989). ↑ Price 2013, pp. 60–61. ↑ Georgescu 1991, pp. 1–2. ↑ Price 2013, pp. 125–127. 1 2 Price 2013, p. 149. 1 2 3 Georgescu 1991, p. 2. ↑ Georgescu 1991, p. 3. ↑ Hitchins 1991, p. 3. ↑ Rustoiu 2005, pp. 32, 35–36. 1 2 3 4 5 Hitchins 1991, p. 7. ↑ Pop 1999, p. 14. ↑ Pop 1999, pp. 14–15. 1 2 Georgescu 1991, p. 4. ↑ Pop 1999, p. 15. ↑ Hitchins 1991, pp. 9–10. ↑ Georgescu 1991, p. 6. ↑ Opreanu 2005, pp. 68–69, 97–98. ↑ Pop 1999, pp. 22–23. ↑ Hitchins 1991, pp. 13–14. 1 2 Georgescu 1991, p. 10. ↑ Pop 1999, pp. 19–20. ↑ Hitchins 1991, p. 14. ↑ Opreanu 2005, pp. 105–107. ↑ Georgescu 1991, pp. 8, 10. ↑ Opreanu 2005, p. 108, 110–111. 1 2 3 4 5 6 Hitchins 1991, p. 16. ↑ Heather 2010, pp. 116–117, 165. 1 2 Opreanu 2005, pp. 117–118. ↑ Heather 2010, p. 151. ↑ Heather 2010, pp. 151, 207–208. ↑ Bóna 1994, pp. 66–67. ↑ Curta 2006, p. 54. ↑ Curta 2006, pp. 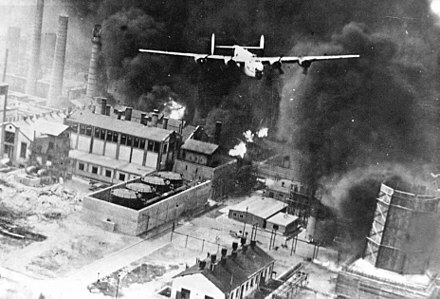 62–63. ↑ Pop 1999, p. 30. ↑ Opreanu 2005, p. 131. ↑ Heather 2010, pp. 395–397. ↑ Bóna 1994, pp. 97–99. ↑ Curta 2006, pp. 168, 177. ↑ Hitchins 1991, p. 37. ↑ Curta 2006, pp. 123, 178. ↑ Hitchins 1991, p. 20. ↑ Georgescu 1991, pp. 14–15. ↑ Sălăgean 2005, p. 140. ↑ Pop 1999, p. 36. ↑ Curta 2006, pp. 15–16 (note 41). ↑ Sălăgean 2005, pp. 140–141. ↑ Bóna 1994, p. 111. ↑ Curta 2006, pp. 182–183. ↑ Curta 2006, pp. 189–190. ↑ Sălăgean 2005, p. 152. ↑ Curta 2006, pp. 248–250. ↑ Pop 1999, pp. 40–41. ↑ Curta 2006, pp. 304–305. ↑ Sălăgean 2005, p. 157. ↑ Bóna 1994, p. 183. ↑ Sălăgean 2005, pp. 158–159. ↑ Bóna 1994, pp. 144–145. 1 2 Pop 1999, p. 43. ↑ Hitchins 1991, p. 21. ↑ Pop 1999, pp. 41–43. ↑ Bóna 1994, p. 189. ↑ Curta 2006, p. 408. ↑ Pop 1999, pp. 43–44. ↑ Curta 2006, pp. 407, 414. ↑ Pop 1999, p. 44. ↑ Pop 1999, p. 45. ↑ Pop 1999, p. 46. 1 2 Georgescu 1991, p. 17. ↑ Sălăgean 2005, p. 202. ↑ Hitchins 1991, pp. 26–29. ↑ Pop 1999, pp. 60–61, 63–66. ↑ Pop 1999, pp. 61–62. ↑ Georgescu 1991, pp. 30–31. 1 2 3 Pop 1999, pp. 52–53. ↑ Georgescu 1991, p. 41. 1 2 Pop 1999, p. 69. ↑ Trócsányi & Miskolczy 1994, p. 419. ↑ Georgescu 1991, p. 71. ↑ Georgescu 1991, p. 54. 1 2 Hitchins 1991, p. 35. ↑ Georgescu 1991, pp. 55–56. ↑ Pop 1999, pp. 75–76. ↑ Pop 1999, p. 79. ↑ Georgescu 1991, p. 42. ↑ Hitchins 1991, p. 60. ↑ Hitchins 1991, p. 61. ↑ Trócsányi & Miskolczy 1994, pp. 432–434. ↑ Hitchins 1991, pp. 44–45. ↑ Hitchins 1991, pp. 55–56. ↑ Georgescu 1991, pp. 73–74. ↑ Georgescu 1991, pp. 74–75, 78. ↑ Pop 1999, p. 92. ↑ Georgescu 1991, pp. 75–76. 1 2 Pop 1999, p. 87. 1 2 Trócsányi & Miskolczy 1994, pp. 427–428. ↑ Georgescu 1991, pp. 89–90. ↑ Hitchins 1991, pp. 73–74. ↑ Hitchins 1991, p. 68. ↑ Georgescu 1991, pp. 103–104. ↑ Hitchins 1991, p. 81. ↑ Pop 1999, p. 99. 1 2 Hitchins 1991, pp. 96–97. 1 2 Pop 1999, p. 100. ↑ Hitchins 1991, p. 99. ↑ Pop 1999, p. 108. ↑ Hitchins 1991, pp. 105–106. ↑ Pop 1999, pp. 109–111. ↑ Hitchins 1991, pp. 109–111. ↑ Pop 1999, p. 111. ↑ Pop 1999, p. 112. 1 2 3 Hitchins 1991, p. 118. ↑ Georgescu 1991, p. 166. ↑ Georgescu 1991, p. 157. ↑ Hitchins 1991, p. 145. ↑ Pop 1999, pp. 118–119. ↑ Hitchins 1991, pp. 149–150. ↑ Georgescu 1991, p. 165. 1 2 Hitchins 1991, p. 150. 1 2 Pop 1999, p. 122. ↑ Hitchins 1991, p. 151. ↑ Georgescu 1991, pp. 169–170. 1 2 3 Hitchins 1991, p. 155. ↑ Georgescu 1991, pp. 170–171. ↑ Hitchins 1991, p. 156. ↑ Pop 1999, pp. 124–125. ↑ Pop 1999, p. 125. 1 2 Georgescu 1991, p. 189. ↑ Hitchins 1991, p. 167. 1 2 Hitchins 1991, p. 180. ↑ Pop 1999, p. 127. ↑ Hitchins 1991, pp. 158, 183. ↑ Hitchins 1991, p. 183. ↑ Pop 1999, p. 128. 1 2 Hitchins 1991, p. 179. ↑ Pop 1999, p. 129. ↑ Hitchins 1991, pp. 167–169. ↑ Hitchins 1991, pp. 167–168. ↑ Hitchins 1991, pp. 174–175. ↑ Georgescu 1991, p. 207. 1 2 Hitchins 1991, p. 198. ↑ Hitchins 1991, pp. 198–199. ↑ Pop 1999, pp. 131–132. ↑ Pop 1999, p. 133. ↑ Georgescu 1991, p. 213. ↑ Georgescu 1991, pp. 214–215. ↑ Hitchins 1991, p. 208. ↑ Georgescu 1991, pp. 216–217. 1 2 International Commission on the Holocaust in Romania (28 January 2012). "Executive Summary: Historical Findings and Recommendations" (PDF). Final Report of the International Commission on the Holocaust in Romania. Yad Vashem (The Holocaust Martyrs' and Heroes' Remembrance Authority). Archived (PDF) from the original on 12 January 2012. Retrieved 28 January 2012. ↑ Georgescu 1991, p. 222. ↑ Hitchins 1991, p. 210. ↑ Köpeczi 1994, p. 689. ↑ Hitchins 1991, pp. 211–212. ↑ Georgescu 1991, p. 219. ↑ Hitchins 1991, p. 215. ↑ Hitchins 1991, pp. 215, 221. ↑ Georgescu 1991, pp. 223–224. 1 2 Pop 1999, p. 138. ↑ Köpeczi 1994, p. 692. ↑ Georgescu 1991, p. 224. ↑ Roper, Stephen D. (2000). 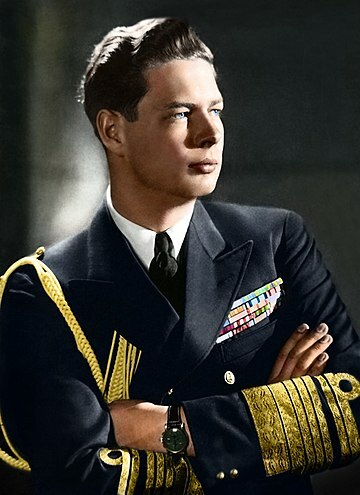 Romania: The Unfinished Revolution. London: Routledge. p. 18. ISBN 978-90-5823-027-0. ↑ Cioroianu, Adrian (2005). On the Shoulders of Marx. An Incursion into the History of Romanian Communism (in Romanian). Bucharest: Editura Curtea Veche. pp. 68–73. ISBN 978-973-669-175-1. ↑ Stoica, Stan (2007). Dicționar de Istorie a României (in Romanian). Bucharest: Editura Merona. pp. 77–78, 233–34. ISBN 978-973-7839-21-3. ↑ Raportul Comisiei Prezidențiale pentru Analiza Dictaturii Comuniste din România (PDF) (Report). Comisia Prezidențială pentru Analiza Dictaturii Comuniste din România. 15 December 2006. pp. 215–217. ↑ Hellman, Joel (January 1998). "Winners Take All: The Politics of Partial Reform in Postcommunist". Transitions World Politics. 50 (2): 203–234. doi:10.1017/S0043887100008091. ↑ Presa internationala despre alegerile din Romania: Traian Basescu a castigat la limita; Romanii au mici sperante sa se dezghete ajutorul de la FMI – International Archived 4 March 2016 at the Wayback Machine . HotNews.ro. Retrieved on 21 August 2010. ↑ Patran, Ioana. "Romania sends ex-prime minister Nastase to jail for corruption". ↑ Ilie, Luiza. "Romania's powerful mayors tumble in corruption crackdown". ↑ Marinas, Radu-Sorin. "Romanians rally again in anti-corruption, anti-government protests". ↑ Editorial, Reuters. "Romania making little progress fighting corruption, European agency..."
↑ "Romania PM Ponta resigns over Bucharest nightclub fire Archived 15 November 2015 at the Wayback Machine ". BBC News. 4 November 2015. ↑ "Huge Romania rally despite decree repeal". 6 February 2017 – via www.bbc.com. ↑ Marinas, Radu-Sorin. "Thousands of Romanians rally against ruling party's judicial overhaul". ↑ "Corruption Perceptions Index 2017". Transparency International. Retrieved 14 March 2017. 1 2 Human Development Report 2009 – Country Fact Sheets – Romania Archived 1 November 2013 at the Wayback Machine . Hdrstats.undp.org. Retrieved on 21 August 2010. ↑ Tracking the Millennium Development Goal Archived 26 November 2013 at the Wayback Machine . MDG Monitor. Retrieved on 21 August 2010. ↑ Joe Parkinson (4 December 2009). "Romania Faces Crucial Vote". Wall Street Journal . Archived from the original on 10 July 2017. ↑ Sistemul de invatamant distrus de lipsa reformelor – Cluj Archived 5 October 2011 at the Wayback Machine . citynews.ro. Retrieved on 21 August 2010. ↑ D+C 2010/03 – Focus – Roos: In Romania and Bulgaria, civil-society organisations are demanding rule of law – Development and Cooperation – International Journal Archived 9 August 2011 at the Wayback Machine . Inwent.org. Retrieved on 21 August 2010. 1 2 3 4 5 Romanian Statistical Yearbook 2017 (PDF) (Report). National Institute of Statistics (Romania). 2018. Retrieved 7 June 2018. ↑ "Romania's Biodiversity". Ministry of Waters, Forests and Environmental Protection of Romania (via enrin.grida.no). Archived from the original on 10 February 2008. ↑ "Joint Press Conference of the President of Romania Klaus Iohannis and US President Donald Trump, Rose Garden, White House - EMBASSY OF ROMANIA to the United States of America". washington.mae.ro.